We are very proud of The Pilot, which received five awards from the Catholic Press Association of the United States and Canada last Friday. The Pilot was honored with two awards in the category of Best Editorial by a mid-sized diocesan newspaper: first place for Best Editorial on a Local Issue and second place for Best Editorial on a National/International Issue. The editorials, the first on gambling and the other on immigration, were both written about very important topics of great interest to the Church. The Pilot also received first place for Best General News Photo with a photograph taken by managing editor Gregory L. Tracy, second place for Best Newspaper Web site and third place in the Best Circulation Promotion Campaign category for its Christmas subscription campaign. The Pilot is one of the oldest newspapers in the United States and certainly the oldest Catholic paper. It is older than most of the traditional secular papers, as well. Though founded by the second Bishop of Boston — Bishop Fenwick — in 1829, for most of its early history The Pilot was an independent Catholic newspaper until it was bought again by the archdiocese in 1908. 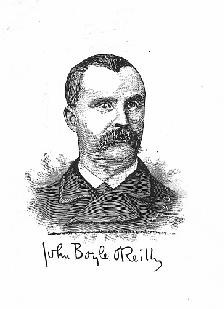 One of the famous early editors had been a prisoner from Australia, John Boyle O’Reilly. He was rescued by Irish from New Bedford who contracted with a whaling ship and brought him back to Boston. He had been a political prisoner in the days when Australia was a penal colony for England. He came back to Boston and became a much respected writer and poet. 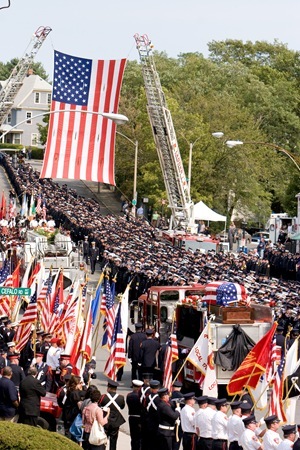 President John F. Kennedy used to say that John Boyle O’Reilly was his favorite poet. 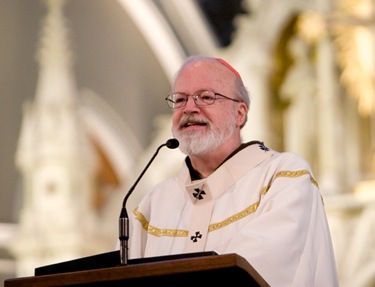 Certainly, John Boyle O’Reilly would never have imagined that one day we would be publishing news online, writing blogs or sending out thousands of electronic bulletins to Catholics in the archdiocese — our most recent initiative. 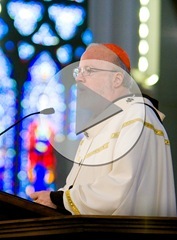 Recently, The Pilot and I began sending the “Weekly Email from Cardinal Sean & The Pilot” in an effort to reach Catholics using modern means. 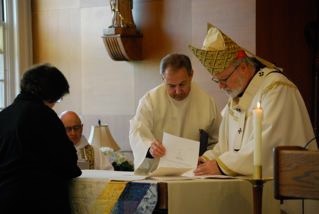 Our first e-mail was sent to 10,000 Catholics, and The Catholic Foundation is helping to increase the number of readers. We are anxious to send the message to at least one e-mail address in every Catholic home, and I encourage everyone to sign up. 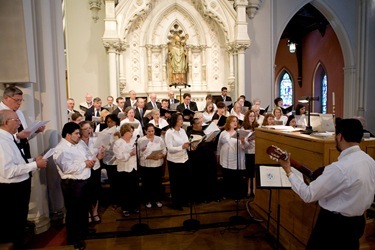 You can do so by visiting the archdiocese’s bicentennial Web site, www.Boston200.org. 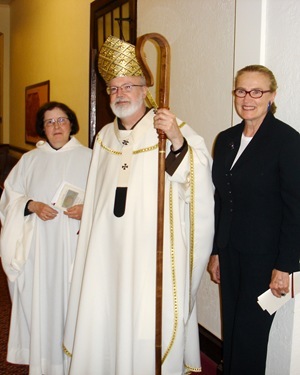 On May 29, I traveled to Regis College for the profession of an archdiocesan hermit — Mary Jane Doherty. Mary Jane is special assistant to the president of Regis College and she serves as the chairperson of the Implementation and Oversight Advisory Committee for our Office of Child Advocacy. 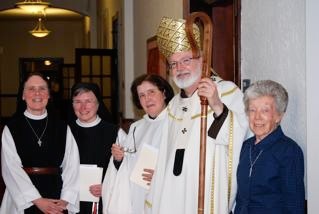 She has a long and close association with both the Sisters of St. Joseph and the Trappistine Sisters and number of them were present for the ceremony. 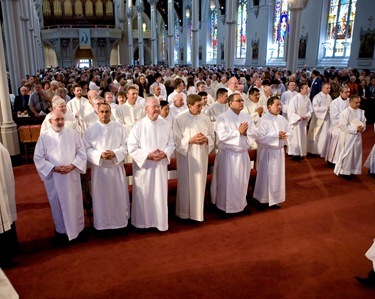 Since the Second Vatican Council, a number of forms of consecrated life have been recaptured from our historic past. 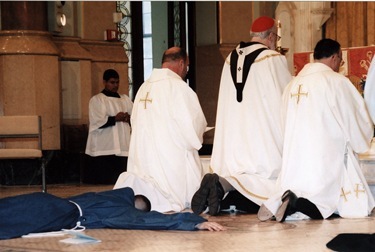 The permanent diaconate, the consecration of virgins and the vocation of hermit are all examples. 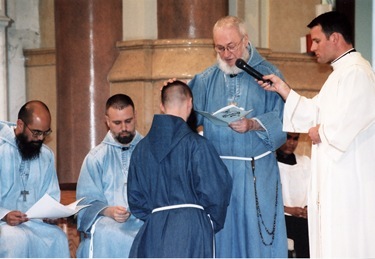 In our diocese, we have a number of consecrated virgins, and now we have three hermits. 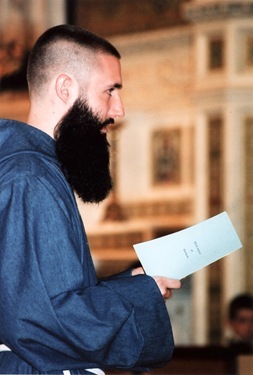 I had another profession of a hermit, a Newton man named Brother Benedict Joseph Connelly, on Wednesday. The first hermit in the archdiocese was Sister Olga Yaqob, whom I’ve mentioned in previous posts. 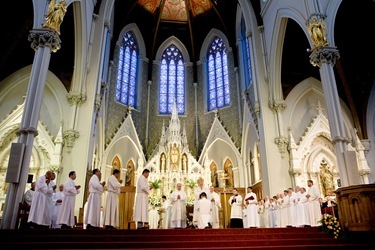 The consecrated virgins make a perpetual vow of chastity, but hermits promise to a rule of life with a strong contemplative component and the evangelical councils — poverty, chastity and obedience. At the same time, they have an obligation to support themselves through their own work. It is very much like being a religious except for not having community life. 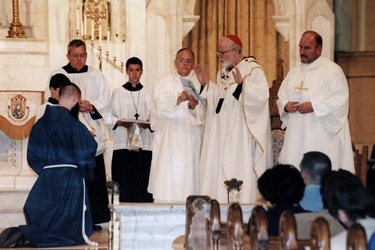 The next day, Brother Giles Michael Gilbert of the Little Brothers of St. Francis, which is a diocesan group that follows the rules hermitage of St. Francis, made his profession at the Basilica of Our Lady of Perpetual Help, also known as Mission Church. The brothers are a wonderful presence in the archdiocese and do a lot of work with the homeless. Their witness in the Roxbury community and their street ministry are wonderful blessings. 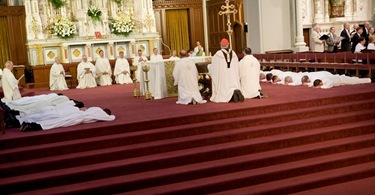 On Saturday, 26 men were ordained to the permanent diaconate at Holy Cross Cathedral. This was a very large class — someone described it as a “bumper crop.” The cathedral was filled with people, and the musical program was just beautiful. 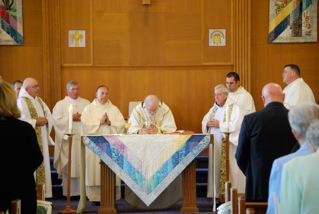 The ordination was bilingual because the deacons represent both our English and Spanish diaconal programs. 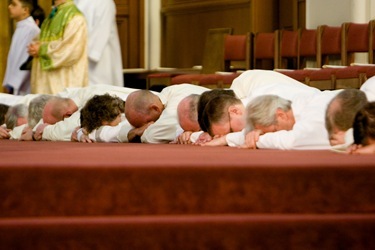 The diaconate is becoming a very important feature in the life of the Church in our country. Although it was originally restored, I think, with the view to mission countries, the United States was one of the first countries to really embrace this ministry and promote it very effectively. 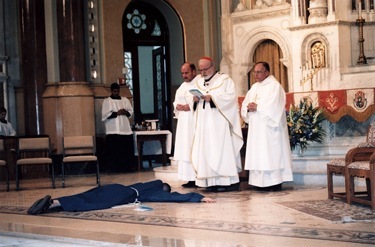 The deacons have become a very important and revered institution in our Church, providing invaluable services in our parishes, hospitals, prisons and in so many other ministries. 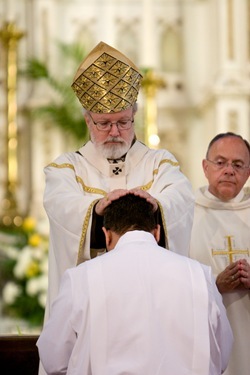 When I was in Washington, D.C., I ran a diaconate program in Spanish. 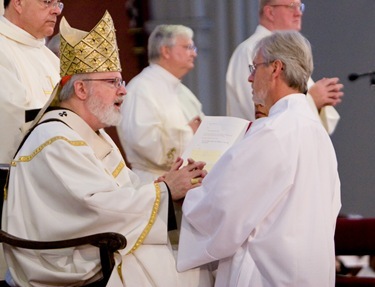 I have always had a great admiration and affection for the permanent deacons who are able to do such important work in our Catholic community. Looking ahead to next week, there is a theological symposium that precedes the Eucharistic Congress in Quebec, and I have been invited to present a paper there. The symposium next week will also feature talks by Cardinal Angelo Scola from Italy, Cardinal William Kasper from Germany and others. 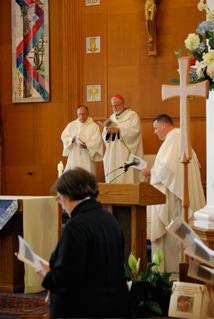 The following week will be the actual Eucharistic Congress, and Cardinal Oullette has been inviting everyone. 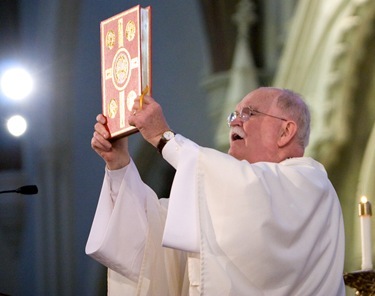 It should prove to be a wonderful opportunity for people to deepen their appreciation and love for the Eucharist. 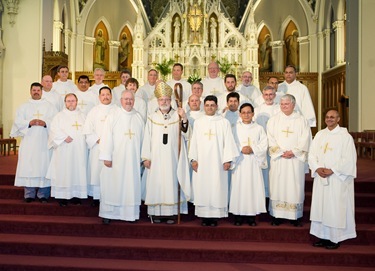 Querido Padre Sean: Congratulations to each of your new 26 Permanent Deacons and your recent religious professions for the Church in Boston and the entire Catholic Church. 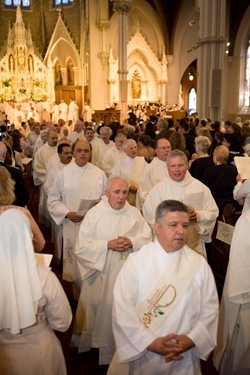 It is always a special joy to accompany you with our prayers at the celebrations of the Holy Mass thanks to the excellent work of Father Robert Reed at BCTV. We pray the way you said it at the consecration: “May God who have begun a good work in you bring it to fulfillment. Que El Señor que te ha preparado para esta obra buena la lleve a término”. 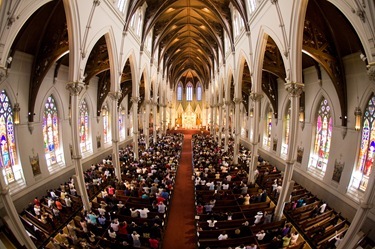 Padre Sean it is great news that you are going to Quebec, Canada for the Symposium of the Eucharistic Congress, our family in Toronto is already hoping that you make a stop in Toronto! But no one is hoping more to see you than those hopeful 7 grade students and bloggers of yours from St. Paul School in Hingham who are hoping to see their Cardinal because their school year ends June 11. Much love is awaiting for you there Padre Sean and plenty of hugs too! Thanks for your blog. I really enjoyed commenting on it this year. We only have a few days left of school! Your blog is great!